Lorraine in the Northeast frontier of France has its borders shared with Germany, Luxemburg and Belgium and is also called the ‘Pays des Trois Frontieres’ or ‘the land with three frontiers’. The region is well recognized as being the invasion route for France. Several invasions and conquests in France’s history have commenced through this region. Its geographical location has made it prone to innumerable wars and conflicts. It was twice separated into two distinct parts, one under France and the other under Germany. The limestone ridges of Cotes de Meuse and Cotes de Moselle run through the clay hills of Western Lorraine. At the fall of the Roman Empire, the Merovingien King Clovis took control of Lorraine and kept it until his death in 511. Earlier, under the Romans, the region was a part of the Belgium Province. In 843, after the death of King Charlemagne, the Carolingian empire was split among his three grandsons. King Lothar received the Midlands as his share, with the area and territories controlled by him becoming known as Lotharingia, which later became Lorraine. With the fading of the Carolingian power, the region came under Duke rule and between 1733 and 1766 it was ruled by Stanislaus I of Poland. After that it became part of France. The town of Bitche is close to France’s border with Germany. Behind the town is a massive citadel located on a hill, which was constructed during the 18th century. The citadel was instrumental in thwarting the invasions in 1793 and 1815. The town’s previous gateways and the church of Saint Catherine with its impressive organ are other main attractions of Bitche. Verdun on the region’s North was a major clash point in World War I, resulting in an estimated 750,000 deaths. Many visit the region to pay their respects to those who lost their lives in the battle. The battlefields and forts like Fort Vaux and the Douaumont Fort are popular places to visit. There are many war memorials and monuments commemorating the World Wars. The museum of World War I has an exhaustive collection of objects pertaining to the war. 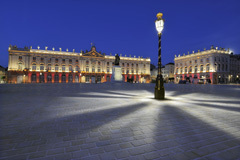 Nancy located on the Rhine Marne canal is an attractive city. The Musee de Beaux Arts showcases works by artists like Eugene Delacroix and Edouard Manet. The Musée de l’Ecole de Nancy is also notable for its outstanding exhibits, in addition to its splendid glass windows and carved furniture. The Park of Peoiniere with elaborate gardens and the gothic Basilica of St. Epvre are also notable places in Nancy. 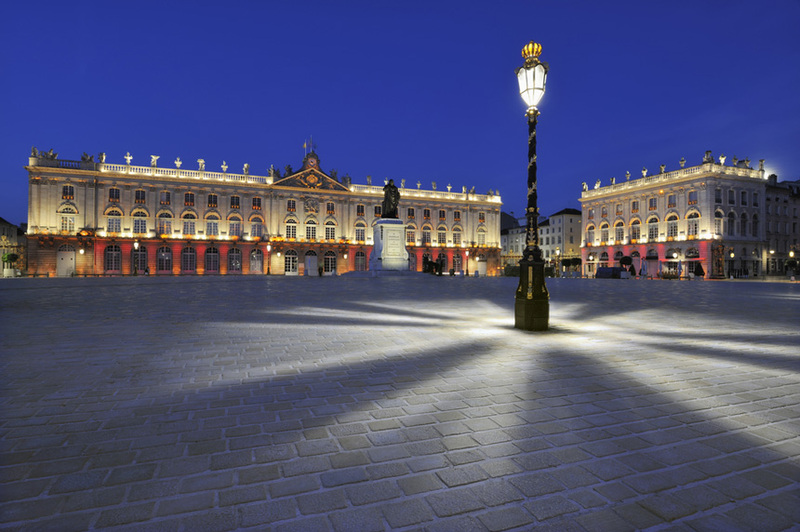 The Rococo style Place de la Carriere, where once races were held, is not to be missed. To the North of Nancy is Metz with its wonderful riverside parks and elegant public squares. At Metz, the Cathedral of Saint Etienne is a must see structure with its stained glass windows dating back to the 14th – 20th centuries. Construction of this world famous Gothic style church started in 1250 and was completed in 1522. Its interior is about 123 meters long and 42 meters high. The Musée La Cour d’Or has valuable Roman and Medieval art collections, which include the tombs of the Merovingian kings. The ancient theater ‘Place de la Comedie’ pertaining to the 18th century is an important place of cultural interest. Known for its music performances and choreography, the center attracts theater lovers from all across Europe. The town of Bar-le-Duc is quietly located by the River Ornain and is divided into a historical upper town and a modern lower town. Numerous steep stairs have to be climbed to reach the upper town. The narrow streets dotted with several medieval houses, the 15th century chateau ruins, the clock tower and the Saint Etienne Church with its famous corpse carving are all attractions worth visiting here.